The Dengie Peninsula is over 60 sq miles of very remote freshwater marsh, secret lanes, vast saltmarsh, wide, long, beaches and big skies. Apart from the Daily Telegraph stating that it's amongst the six most remotest places in England - and celebrating that fact, Robert Macfarlane includes The Dengie in his nationally acclaimed book 'The Wild Places'....he also celebrates the astonishing remoteness just 25 miles from the density and busyness that is South Essex. The team that runs outdoor courses at The Asheldham Centre knows The Dengie very well. Barry Howard, Gary Riley, Bruce Boulden, Sam Howard, Adam Dawson, Penny Peetoom: all have walked the Marsh at night, sometimes night after night, (and solo at night) in deep mid-winter when no day has seen temperatures rise above freezing for a week on end because undoubtedly The Dengie has its own climate...we've walked it in the blistering almost desert-heat of mid-summer when, as there's little shade out on the Marsh we've been glad to get back to the soothing cool of the Centre with its walls of stone four feet thick creating its own climate too. The team have backpacked across it and camped out in January when it's been a high of -5deg C, with teenagers on a 30 miler; we've bivvied down in the ditches and watched the moon rise amongst an unpolluted starlit sky and then seen the sun explode across a polder-flat landscape the next morning. 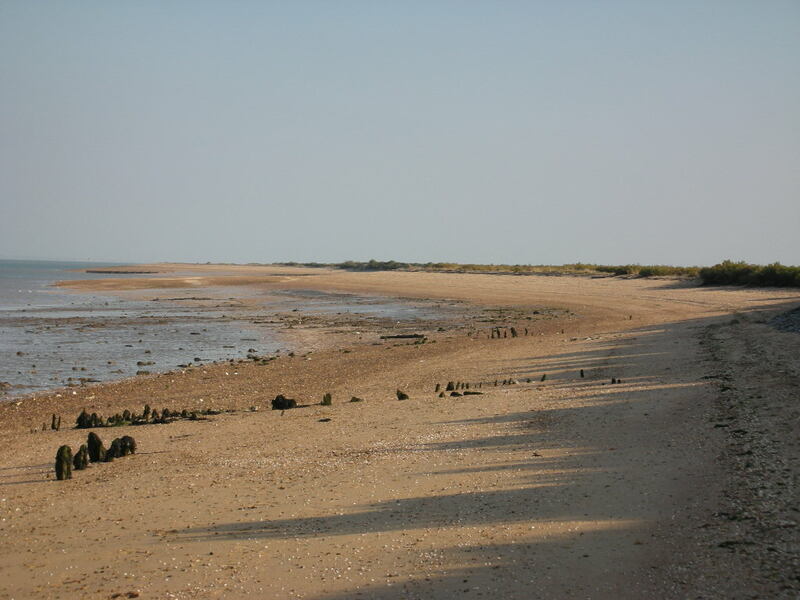 Some of us have canoed the coast too - across to Mersea..... and even walked way-out on the saltings to the very edge of Dengie where only the terns nest and the quiet is overwhelming - not for the faint hearted. We commend this place to you, but please be aware that you would be wise to hire one of our guides to see you across the Marsh. There is a railway museum ('Mangapps') at Burnham on Crouch (and very good it is too), The Blackwater Leisure Centre swimming pool at Maldon, kayaking, sailing, and windsufing at Bradwell Outdoor Centre (also has a High-Ropes frame), Hyde Hall (RHS) is at East Hanningfield some 12 miles west of the Centre. 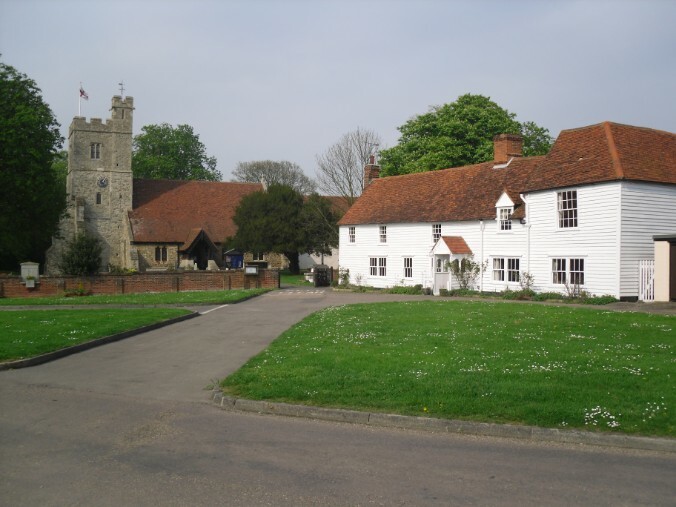 New Hall: A local vineyard with a very good reputation is located near Maldon; Marsh Farm Country Park can be accessed en route to the Centre - at South Woodham Ferrers. St Peter's Chapel built in 652 AD is a national treasure located two miles east of the village of Bradwell right out on the coast. Note: information to help with planning walking and routes can be found in the 'Walks' section of this site. ABOVE: The Saxon church at Dengie. 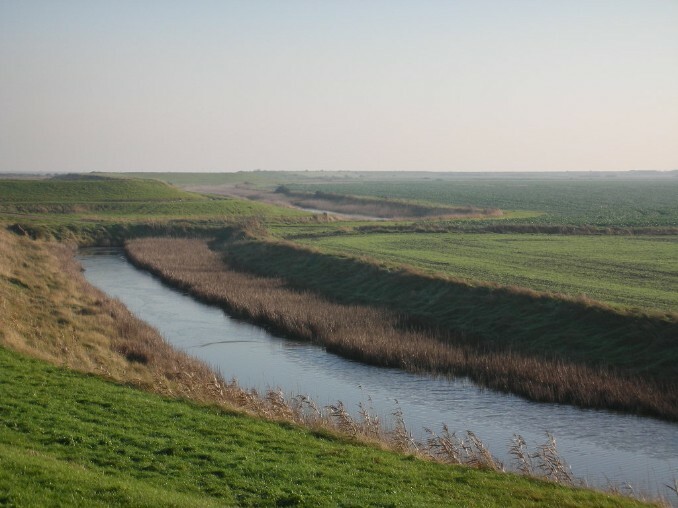 BELOW: Asheldham Brook, the largest watercourse on the Dengie. No public roads bridge this sizeable river which makes communications difficult, but adds to the isolation.